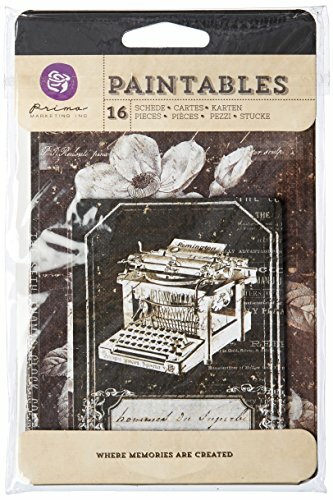 Prima Marketing-Everyday Vintage Paintables Cards. Gorgeous, luscious, vintage-inspired Paintables are here with a wonderful selection of sizes and shapes! You are going to love playing with these. Use straight out of the package, or color away, these Paintables are a must-have! Use with Prima watercolor pencils, oil pastels, chalk edgers, color blooms and more (sold separately). This 7×4 inch package contains twelve or more paintable cards on fine watercolor paper. Comes in a variety of themes. Each sold separately. Imported.